Founded in 1888, Edgewood Borough is located 7 miles from downtown Pittsburgh and has a population of 3,311. A welcoming residential community of .92 square miles, Edgewood Borough combines the tree-lined beauty of an old Pennsylvania town with the advantages of an unbeatable suburban locale. The Pittsburgh History and Landmarks Foundation has designated Edgewood a historic district. The Borough features the Edgewood Towne Center, a 339,791 square foot neighborhood shopping center. Edgewood is home to the Edgewood Symphony Orchestra, one of Pennsylvania’s premier community symphonies, composed of amateur volunteers from more than 40 communities and four countries. Our borough is located right next to Regent Square and beautiful 476 acre Frick Park, and Edgewood is no more than a 15 minute drive from great attractions such as The Pittsburgh Zoo and PPG Aquarium. 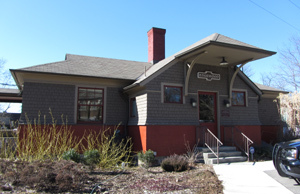 Edgewood Borough is proud of its thriving public library, the C.C. 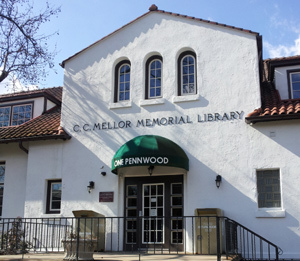 Mellor Memorial Library, its dynamic recreation program, recycling efforts, and the many events and programs held throughout the year in an effort to maintain and enhance an excellent quality of life. Edgewood’s Public Works, Police, and Volunteer Fire Departments are attentive to the needs of its residents and our close proximity to Pittsburgh’s cultural and employment opportunities makes Edgewood Borough a progressive, family-oriented community second to none, as well as a great place to do business. On our website, you will find information about Events, our Borough Departments, including Recreation, an overview of Edgewood Borough’s Government and Administration, Borough Information, including demographics, Employment Opportunities, Local Links, and more About Our Area. Should you have any questions, please don’t hesitate to Contact Us here at the offices of Edgewood Borough.